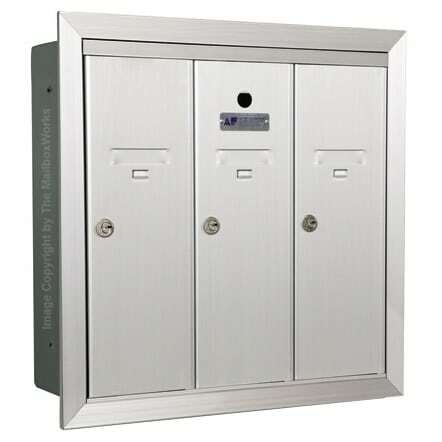 All secure Florence and Salsbury vertical mailboxes are built to meet USPS security requirements. 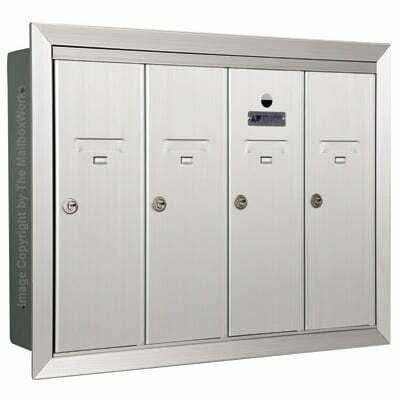 Vertical commercial mailboxes can only be used as replacement mailboxes for existing multi-tenant mailbox systems. This means that USPS will allow you to replace your vertical mailbox units in multi-tenant and multi-unit complexes if they are undergoing only minor renovations. The MailboxWorks is North America’s leading online commercial mailbox supplier. 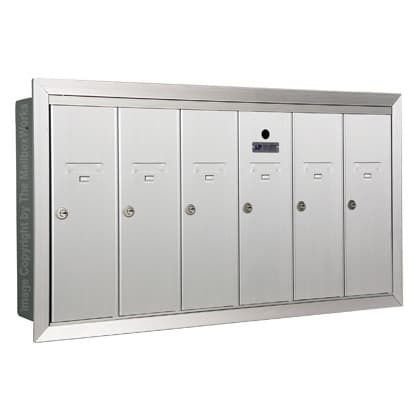 We provide centralized mail delivery solutions to property owners who require secure Commercial Mailboxes. Wall mounted vertical mailboxes by Florence Manufacturing and Salsbury Industries are designed for indoor use. They can range from 3 wide to 7 wide mailbox units, with the option to add name tags or address tags. 4B+ compliant vertical mailboxes are only USPS approved for existing mailbox replacement and minor renovation projects. For all new construction projects or major renovations the 4C horizontal commercial mailbox system is mandatory. Florence vertical mailbox systems are also a great option for private mail distribution systems where USPS requirements are not in effect. Florence vertical mailbox systems are available in the standard aluminum finish or in 11 other customized Powder Coat finishes. These include finishes such as Antique Copper, Blonde Gold or Postal Grey. Salsbury vertical mailboxes are available in five powder coat finishes. 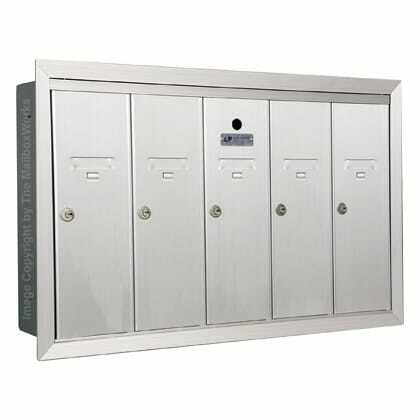 The standard vertical mailbox unit for apartment complexes are designed for recessed installation. Optional surface mounting kits are available. MailboxWorks has been providing centralized mailbox solutions since 1989. 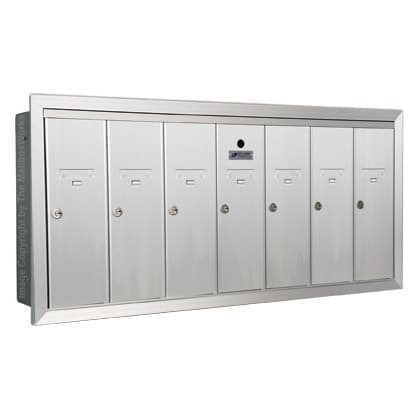 As your trusted source for both residential and commercial Mailboxes, we offer the best prices online for Florence Manufacturing and Salsbury mailboxes, including commercial vertical mailboxes.